Founded in 1902, Medway Historical Society fills an important role in preserving the history of Medway. A private, non-profit organization, Medway Historical Society relies on grants, membership feeds, fundraising events, and private donations to maintain its collection of artifacts pertinent to the history of Medway. 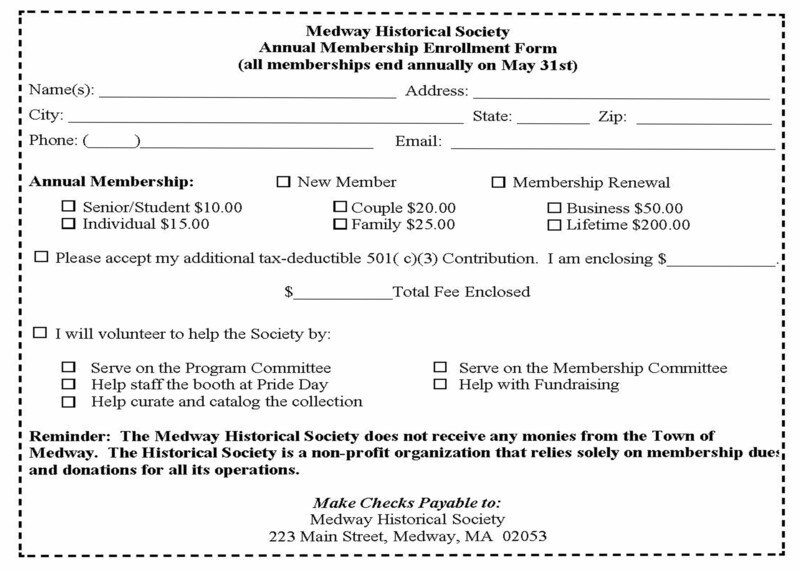 Please consider joining Medway Historical Society. Your modest membership fee helps to preserve our collection, maintain our building, and entitles you to attend monthly meetings, lectures and other events, and make many new friends with common interests. To save valuable funds, only one renewal notice will be sent per year. To join please print and fill out the form below and mail a check for the appropriate amount with your name, address and email to the address on the form.